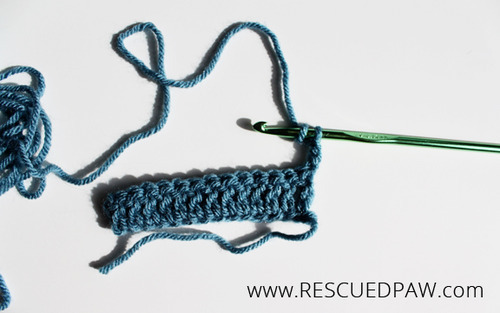 for my tutorial, but any yarn will work! 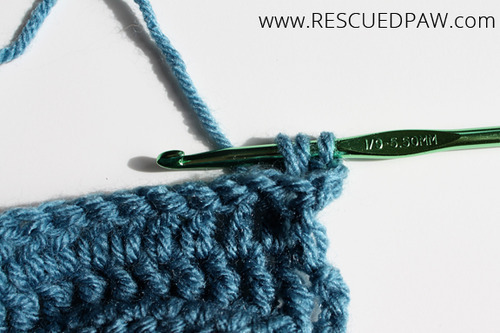 Both Front & Back Post Stitches start with a standard row of Double Crochets. 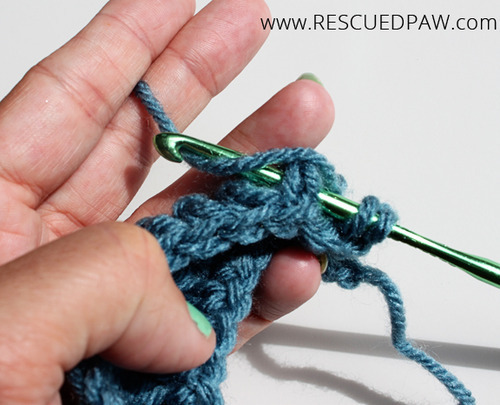 After you have worked your first row of Double Crochets chain 3 and turn your work. 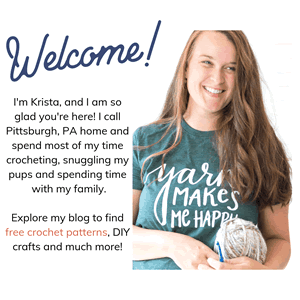 YOU MADE A FRONT POST STITCH!! 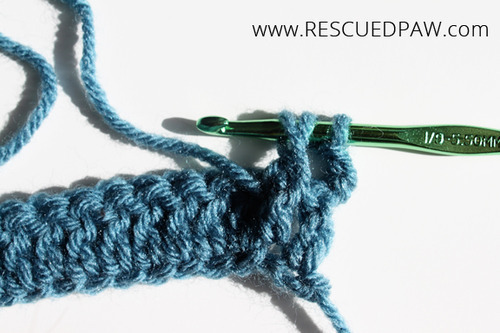 This is similar the to the front post but you begin from the back of your work, insert hook back to front to back again around the post of the next stitch, pushing the post away from yourself. 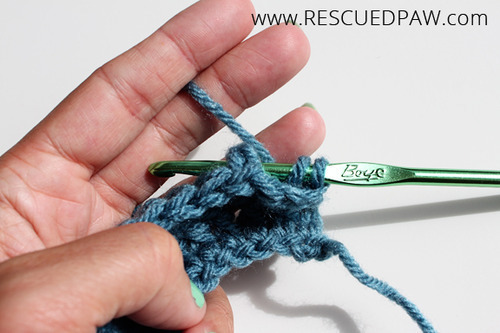 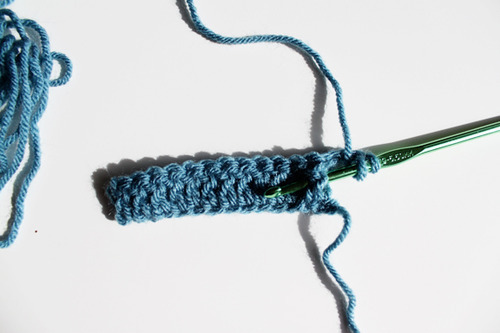 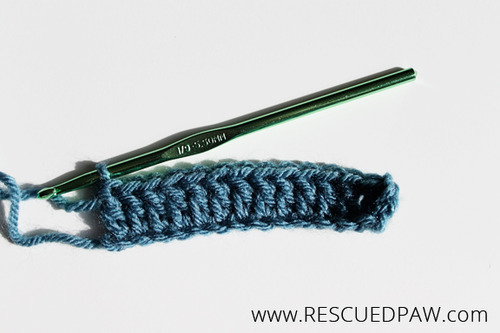 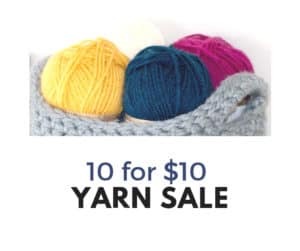 Pull the Yarn back through the post so 3 loops are on the hook and finish like a normal Double Crochet. 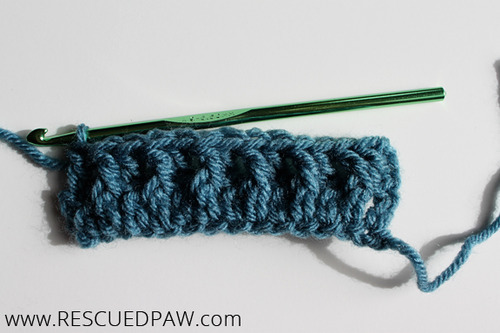 Repeat 1 Double Crochet, 1 Back Post Stitch across until the end of the row. 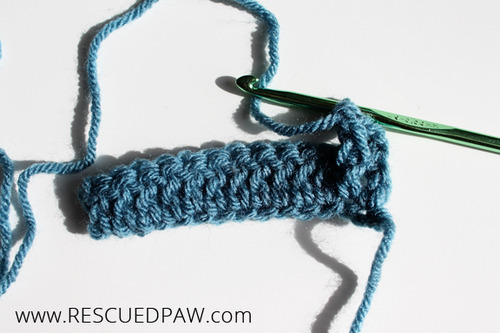 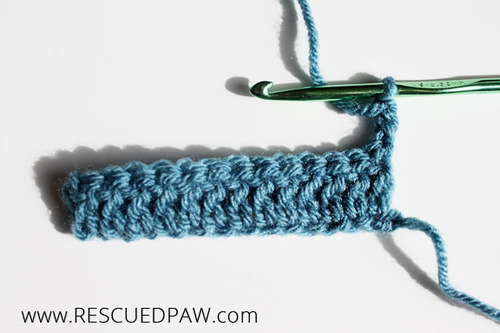 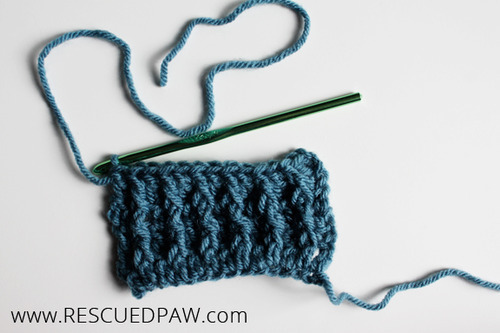 Make sure to alternate front and back post stitches every row to achieve the cabled look. 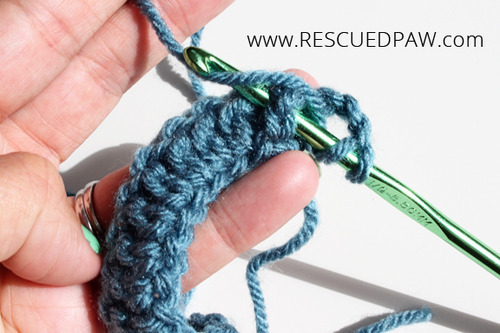 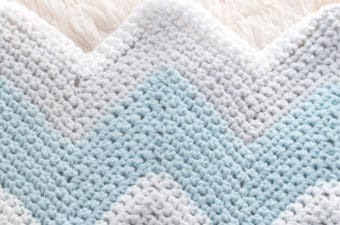 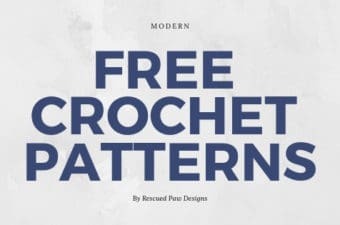 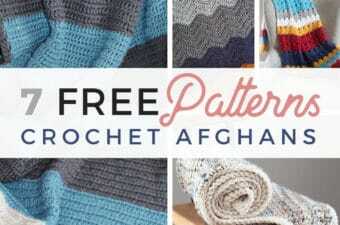 If you have any questions about Around The Post Stitches in Crochet please feel free to ask!